When you want or need to buy a big ticket item, it can be hard to be patient while you wait for your savings to stack up to a high enough level. With the range of credit options available it can be easy to buy now and pay later. While credit has got a bad name in recent years with irresponsible lenders giving thousands of pounds worth of credit to any Joe Bloggs on the street, there are still some excellent opportunities to be had if you’re financially astute. You may immediately be drawn to the credit card. As long as you have a strong credit score, the chances are that you’ll be able to have plenty of credit at your disposal within seven to ten days of applying. If you want that swanky new kitchen, it can appear more within your reach than ever. 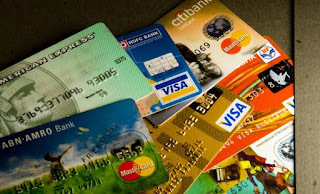 However, the lure of the ease of credit with cards comes at a cost, namely interest. Many credit cards have a rate of over 20% APR. This isn’t a problem if you’re paying your balance off in full every month, but if you require longer to shift the debt, then alternatives need to be found. This may sound a tad simplistic but selling your unwanted items online using auction sites or classifieds like locanto.com can add significantly to your funds. If you’re aching to purchase your new SUV, you’ve been saving for what seems like an eternity and you only need a little more in the coffers to get you over the finish line, there might not be any need to get yourself into any debt. If you haven’t used an item for twelve months, don’t get all sentimental and just sell it. Those box sets of DVDs that have been languishing at the back of your cupboard will be wanted by somebody out there. As you see the money build up, you will be even more motivated to keep topping up your savings. If you’re finding it tough to raise all of the funds needed for your trip abroad, your loft extension or your new set of wheels, don’t worry. You should congratulate yourself for saving up the amount that you have so far. All is not lost. Consider heading to signature.loan where you’ll be taken through a personal loan application process step by step. Loans often have lower rates of interest than credit cards and are over a set term, so you’ll know exactly when you’ll be debt free once again. However you end up financing your big-ticket item, make sure you remain sensible and don’t allow that new designer sofa to seduce you into taking out more debt than you can afford to repay. Live within your means and use credit to your advantage. Assess every option available to you and don’t always rely on plastic that isn’t always so fantastic.